Un jazz métisse et organique, le Hadouk célèbre la vie et les cultures du monde dans un langage musical onirique et captivant depuis deux décennies. Éléments fondateurs du son Hadouk le Hajouj de Loy Ehrlich et le doudouk de Didier Malherbe ont forgé l’identité sonore du groupe reconnaissable entre toutes. 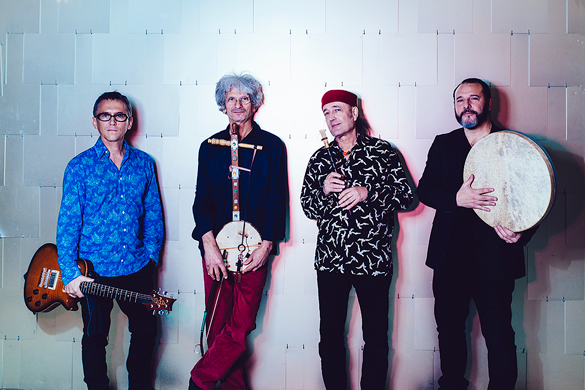 D’abord duo, puis trio avec Steve Shehan (percussions), le groupe est devenu quartette en 2013 après le départ de ce dernier et l’arrivée d’Eric Löhrer (guitare) et Jean-Luc Di Fraya (percussions et chant). 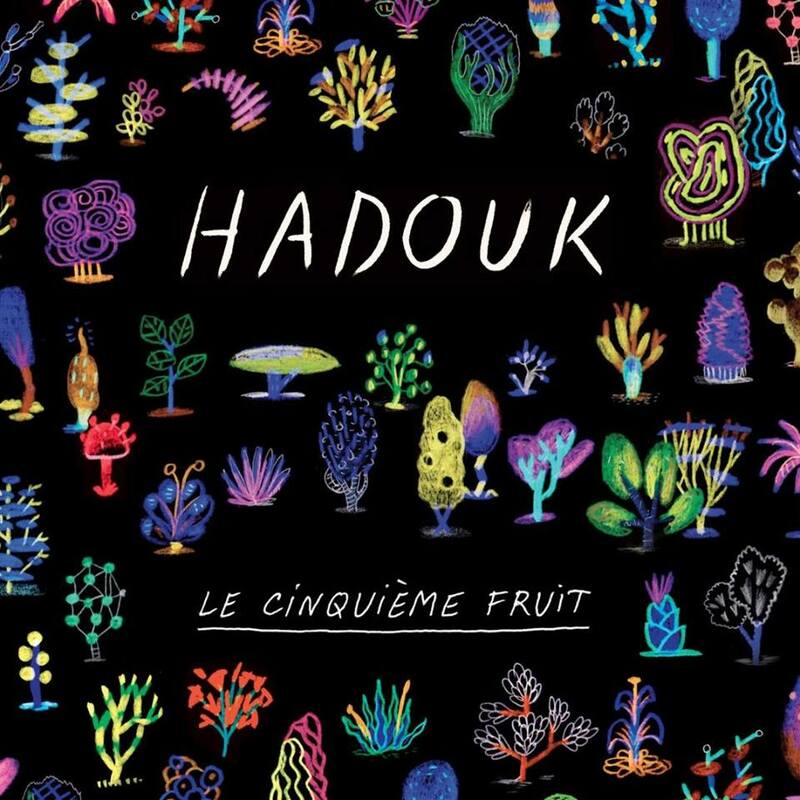 Le Hadouk est toujours la promesse d'un voyage poétique entre l’Orient (des rythmes gnawa aux maqams arabes), l’Occident (du rock aux musiques noires américaines), le Nord (des musiques celtes aux airs sino-japonais), le Sud (du blues malien aux transes ancestrales). La formation nous embarque dans un nouveau conte extatique avec Le cinquième fruit prévu le 17 mars chez Naïve. 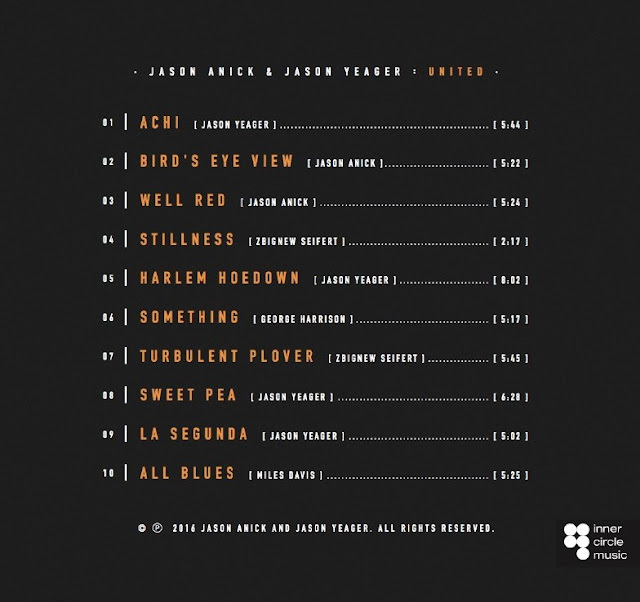 Meshing the outsized gifts of violinist and mandolinist Jason Anick and pianist Jason Yeager, United (to be released March 10, 2017 on saxophonist and jazz visionary Greg Osby's Inner Circle Music label) demonstrates how effectively today's most creative musical artists bloom outside the constrictions of genre and idiom. 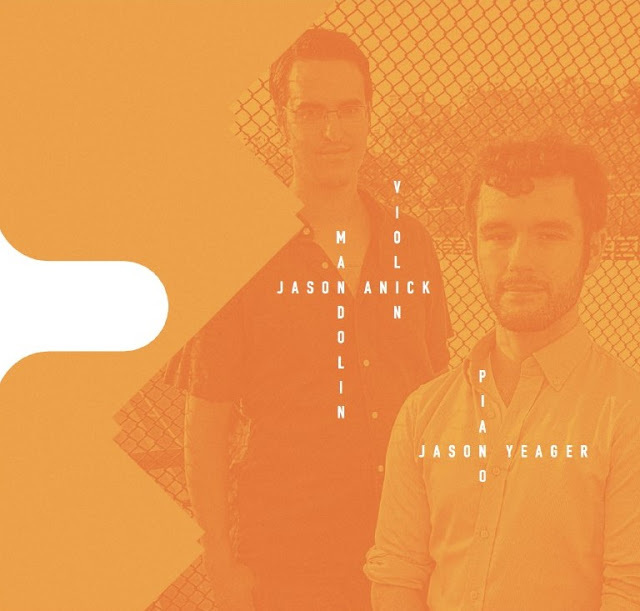 Rejecting the confining roles of strict categorization, the album draws on the wide swath of musical interests of its co-leaders, blending straight-ahead and post-bop jazz, world music, funk and pop, eagerly embracing what Anick and Yeager have defined as "jazz without borders." 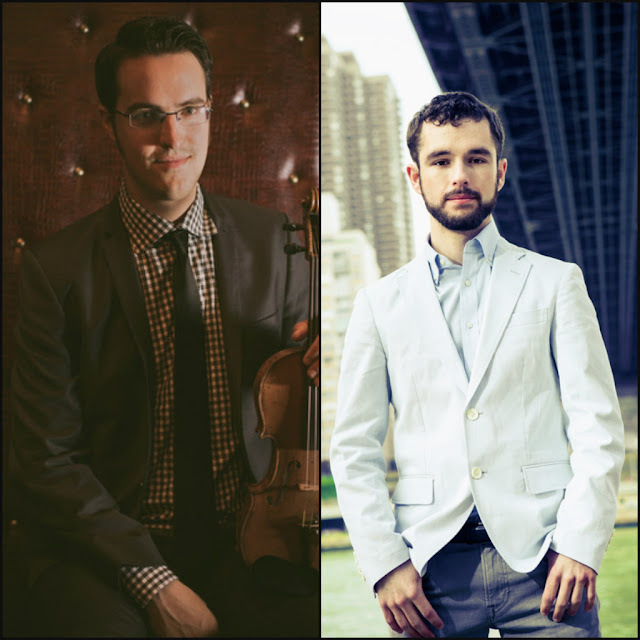 Displaying the virtuosic talents of both of these formidable instrumentalists, United also makes a thoroughly convincing claim for their roles as imaginative composers and inclusive conceptualists. 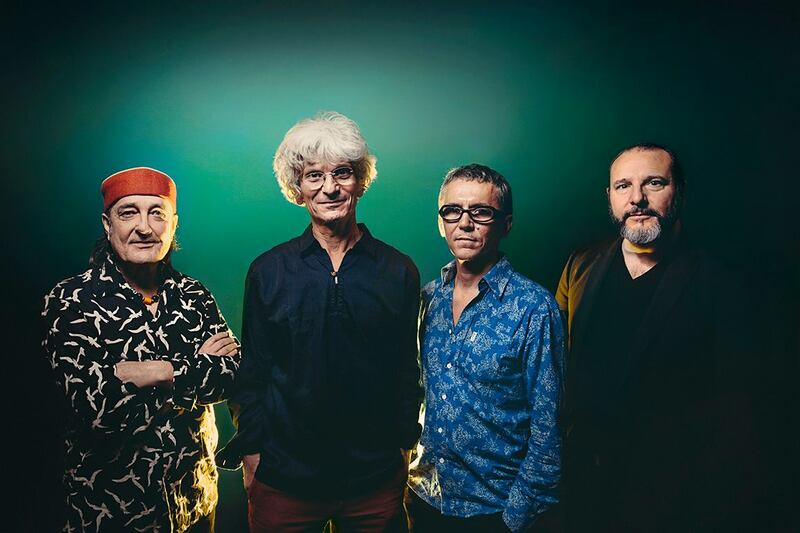 Where Anick may be best known as a lynchpin of the acclaimed neo-Gypsy Jazz ensemble, Rhythm Future Quartet, and Yeager is a recognized exemplar of post-bop and third stream piano, their first project as co-leaders doesn't place either in strictly familiar roles. Primarily utilizing bassist Greg Loughman and drummer Mike Connors, as well as valued guests including the saxophonists George Garzone and Clay Lyons, trumpeter Jason Palmer, bassist John Lockwood and percussionist Jerry Leake, United is a shining example of how the two Jasons engage the jazz tradition while gleefully expanding its purview. The album roams freely among musical idioms, utilizing Israeli-inspired rhythms for the propulsive "Achi" and making vivid use of the Argentine chacarera beat for "La Segunda"; waxing a lyrical homage to Billy Strayhorn ("Sweet Pea"); training a rhythmically shifting gaze on George Harrison's "Something"; romping on the new jazz tribute to Joshua Redman, "Well Red"; duetting on a loping version of the Miles Davis standard, "All Blues"; and essaying two post-bop excursions by the innovative Polish jazz violinist Zbigniew Seifert (one of which, "Turbulent Power," features the saxophone avatar George Garzone.) This stylistic diversity frees the leaders, allowing each to explore surprising and eminently satisfying aspects of their musical personalities. 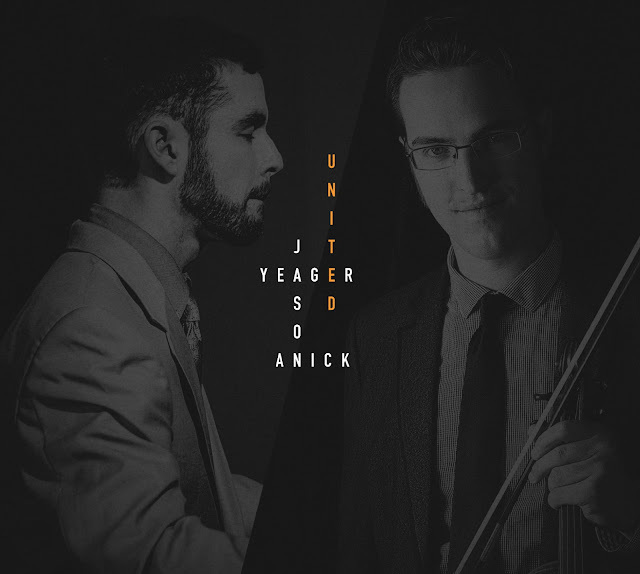 For Anick and Yeager-friends since their teenage years, frequent collaborators, and now fellow Berklee instructors-United is both an artistic culmination of a long personal association and a statement of a shared musical aesthetic. "The album has been a great outlet for both of us," says Anick. "We get to stretch our instrumental voices within different contexts. We've always been in sync in terms of a creative vision where melody is never sacrificed to the demands of improvisation. We both believe that you can express yourself within the context of a song. There's a chemistry between us that allows us to create very special sonic soundscapes together." "The album was also a means to honor and feature trusted musical associates and Berklee colleagues," says Yeager. "Clay Lyons, featured on "Bird's Eye View", Jerry Leake, and the third Jason, Jason Palmer, as well as Greg Loughman, Mike Connors and John Lockwood are all fantastic players who deserve wider recognition. For his part, George Garzone is just a force of nature!" Indeed, the project's Berklee ties are manifest: Recorded by Professor Mark Wessel through a faculty grant at the college's state-of-the-art studios, Garzone, Lockwood, Palmer and Leake are all Berklee professors, and alto saxophonist Lyons is an alum. Even with guests contributing so significantly to the success of the project, it always came back to the creative symbiosis of the co-leaders. "We were looking for different colors to add to the music, says Yeager, "but it was the thread that exists between us, that held United together." One of the youngest instructors at Boston's Berklee College of Music and an award winning composer, Jason Anick is a co-founder and a featured member of the Rhythm Future Quartet, one of the preeminent neo-Gypsy Jazz outfits; he also leads his own contemporary jazz ensemble, and performs with the Grammy-winning guitarist John Jorgenson. With performances all over the world and renowned venues like the Montreal Jazz Festival, Blue Note, Scullers Jazz Club, Yoshi's Jazz Club, and TD Garden, Jason has proven himself to be a leader in the ever-growing contemporary string world. Anick's recordings as a leader include Sleepless, Tipping Point, and Travels. Now based in New York City, Jason Yeager (whose own albums include Ruminations and Affirmation) has considerable personal and professional ties to the New England area where he was born and raised. Currently teaching at Boston's Berklee College of Music, where he is also one of the college's youngest faculty members, Yeager graduated with honors from a double degree program at Tufts University and New England Conservatory. At NEC he was mentored by such significant instrumentalists as Danilo Perez, Fred Hersch, Ran Blake, Frank Carlberg, Jerry Bergonzi and John McNeil. He has performed across the US and abroad in Argentina, South Africa, and Botswana. Among the artists with whom Yeager has performed are Greg Osby, Rudresh Mahanthappa, Linda Oh, Sara Serpa, Ayn Inserto and Ran Blake. He's also featured on Jason Anick's Tipping Point. 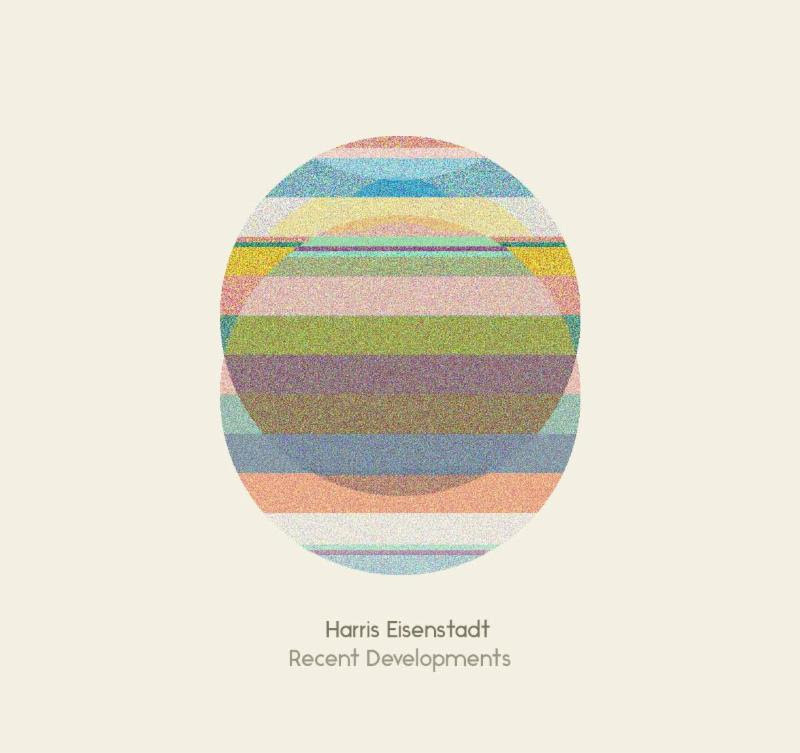 Recent Developments is the latest project from the Toronto-born, New York-based composer, percussionist, and bandleader Harris Eisenstadt, his 20th release as a bandleader. His five previous Songlines recordings have been by the 4-5 person groups Canada Day and Golden State. His new nonet, which includes many of Brooklyn's most esteemed creative musicians, is the fifth installment of music for medium-sized ensembles, following Fight or Fight (2003), The All Seeing Eye + Octets (2006), Woodblock Prints (2010), and Canada Day Octet (2012). As Harris explains: "Each were explorations in long-form composition and unusual instrumentation. And each walked the line between small group conception and large ensemble ambition. Medium-sized ensembles (groups of, say, 7-10 instruments), present unique sets of compositional problems. They contain many more voices than a small group has to account for. But at the same time, you are not quite dealing in big, heaving blocks of sound - in sections of four and five like instruments, for example, as in big bands, or in orchestral sections with massed strings and complementary-sized winds and brass. Writing for a medium-sized ensemble is, in miniature, something like writing for chamber orchestra. Textures can be massed, but they can just as easily be quite thin. I wanted to explore all of the weights available in Recent Developments, and discovered again that the heaviest weight in a medium-sized group still has a sheerness, a level of exposed-ness, that is neither large nor small." The range of polyphonic/polyrhythmic textures emphasizes the unique instrumentation's rich timbral variety. Eisenstadt sketched all the music on a transatlantic flight home to Brooklyn at the end of a tour. "Most of the melodic and rhythmic material came rushing out in those nine hours. [But] it took a couple months [spent] mainly revising the counterpoint...to try and balance the orchestrations, to spread the materials throughout the group to exploit as many instrumental textures as I could...The wide range of timbral combinations is at the heart of the recording, and is reflected in the color scheme and shape of David Foarde's beautiful cover design." The form of the suite is divided into fourteen parts: six ensemble sections and eight discreet transitional sections in which snapshots of the material from the ensemble sections are re-imagined and interpreted freely in sub-ensembles of varied instrumentation that were chosen on the day of the recording. During the revision process Harris drew on such diverse influences as Jane Jacobs' The Death and Life of Great American Cities, David Chase's The Sopranos (mainly for its scope, its long-form arc) and Beni Ourain-style rug weaving of the Berbers from the Atlas mountains of Morocco: "For some reason...I thought a lot about Jacobs' still-prescient views of what was happening to New York City in the mid-20th century, as mixed-use, mixed-income, mixed-ethnicity neighborhoods were razed and low-income housing projects became ubiquitous. The music takes inspiration from Jacobs' ideas of community, [offering] a variety of musical/emotional settings that reflect the many ways in which communities interact; not only in varying numbers, but in interactions of varied emotional tenor... Earlier this year I discovered Beni Ourain-style rugs and fell in love with their instantly-identifiable aesthetic...No two rugs are the same; each design embraces abstraction alongside lyricism, simplicity and minimalism alongside textural complexity, and are often woven by mother and daughter together. They are each examples of communal creation, improvisational whimsy, and refined detail." Musical influences involve the mid-sized ensemble compositional strategies of Henry Threadgill, Dave Douglas, and John Zorn. "I started working with Zorn this past year, playing ten tunes of his new Bagatelles book (of 300 tunes!) with Chris Dingman and Eivind Opsvik. It's been inspiring to witness first-hand not only how prolific he is, but also his microscopic attention to detail. The Bagatelles are miniatures, yet they contain multitudes. Even though Recent Developments is long-form rather than short form, I wanted to honor that attention to detail in my revisions. I wanted to treat every line, whether main melody, counterpoint, rhythmic/harmonic underpinning, with the same meticulousness... I've always admired [Douglas's] prolific output and his attention to lyricism...Threadgill remains a central source of inspiration as a composer, arranger, and bandleader. His aggregates of unusual instrumentation and their rhythmic vitality continue to astonish." If this all sounds pretty serious, the music as performed certainly has its beguiling idiosyncrasies that allow for a variety of responses: "This music, though narrative-based, claims, through abstraction or subversion of expectations, no 'program note' of intent. One listener's deadpan is another's lightly ironic is another's dispassionate is another's emotionally charged." For more information: www.harriseisenstadt.com. A full interview with Harris can be found on is linked from the Songlines release page for Recent Developments. 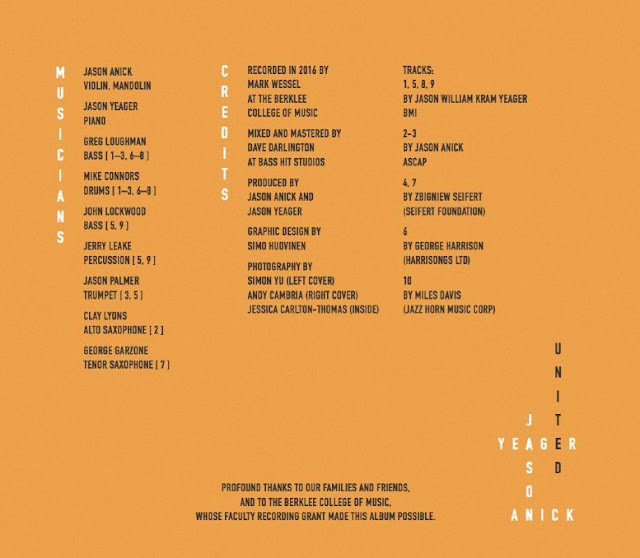 Nerve Dance – saxophonist/composer/bandleader/conceptualist Michaël Attias’ sixth album (available on Clean Feed Records, March 10, 2017), which deals with the aesthetics of spontaneity, the theory of elasticity and the concept of equality in music, is an expansive, spirited debut from Michaël Attias’ new Quartet, featuring Aruán Ortiz (piano), John Hébert (bass) and Nasheet Waits (drums). OnNerve Dance, we are regaled with hearing four hearts, minds and bodies hooking up at an extremely high level on nine Attias compositions, and two from Hébert. Each piece exercises a different set of muscles and faculties for the band, and every member of the Quartet carries within them the historical knowledge and a fluency in the multitude of dialects of this music; consequently we hear them free within the compositions, deep into the zone of this collective creation, transcending their respective instruments and completely surrendering to the music. Attias has been influenced by literature, film, painting, extensive travel, life in general, and of course, a wide spectrum of music, ranging from Moroccan Gnawa rhythms to Renaissance Polyphony, Ligeti, Debussy and the 2nd Viennese School; the AACM, Ornette Coleman, Cecil Taylor and Steve Lacy, but also Andrew Hill, Paul Motian, Konitz & Marsh, plus the first and lasting loves, Ellington, Coltrane, Monk, Miles and Bird. Attias’ music, while dedicated to “creation” rather than “re-creation”, remains firmly rooted in the avant-garde, conceptualized as the true tradition of this music from its earliest recordings onward. Attias asserts that the revolutionary, adventurous spirit of the major figures of jazz, including his aforementioned influences, made bold strokes of genius that only seem inevitable in retrospect, and have paved the way for the audacious improvisers of today who remain singular and fearless in the face of mass conformity. There exists an instinctual, visceral need in Attias and his cohorts to play music that is honest, that rejects inertness and fully embraces the meaning of creativity and evolution. This music is found on Nerve Dance. Attias, a quietly fierce, improvising force on the international scene, has worked with Anthony Braxton and Paul Motian, and is a frequent collaborator/sideman for Kris Davis, Ralph Alessi, Tony Malaby, Oliver Lake, Anthony Coleman (and many others). 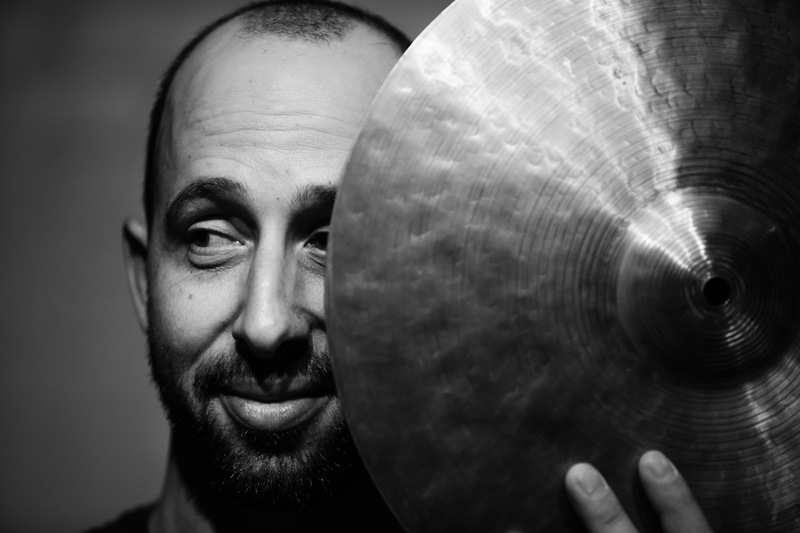 He also leads three bands, his new Quartet, Renku (featuring John Hébert and Satoshi Takeishi), and Spun Tree (featuring Ralph Alessi, Matt Mitchell, Sean Conly and Tom Rainey). He has also composed for theatre, film, big band, and orchestra. So why this new Quartet, and why Ortiz, Hébert andWaits? “There was a particular chemistry I was looking for and a kinship of approach that I can only describe as a fiery mathematics whose combustion is in the blowing itself, a group identity so strong that it becomes the overriding composition. This band is big fun to play with. Everyone has in common a deep lyricism and a very personal way of bringing design to the turbulence and turbulence to the design. We all share a fearless commitment to every moment of the music, to making it breathe and dance – balancing the yins and yangs, fire and receptivity, mystery and clarity… Hébert, Nasheet and I have played together in countless situations over the last fifteen years, and, of course, those two for years played together with Andrew Hill whose music is a big inspiration to us all. They bring a deeply singing quality and dance to everything they do. Aruán is the new agent in this chemistry; he has all the qualities I’ve mentioned and a kind of visionary approach to sound and time, order and chaos that I really appreciate. Music demands of us, as players and listeners, that we put our emotions, minds, bodies, and nervous systems on the line and give it some attention, but the reward is that we can all share in the dance. 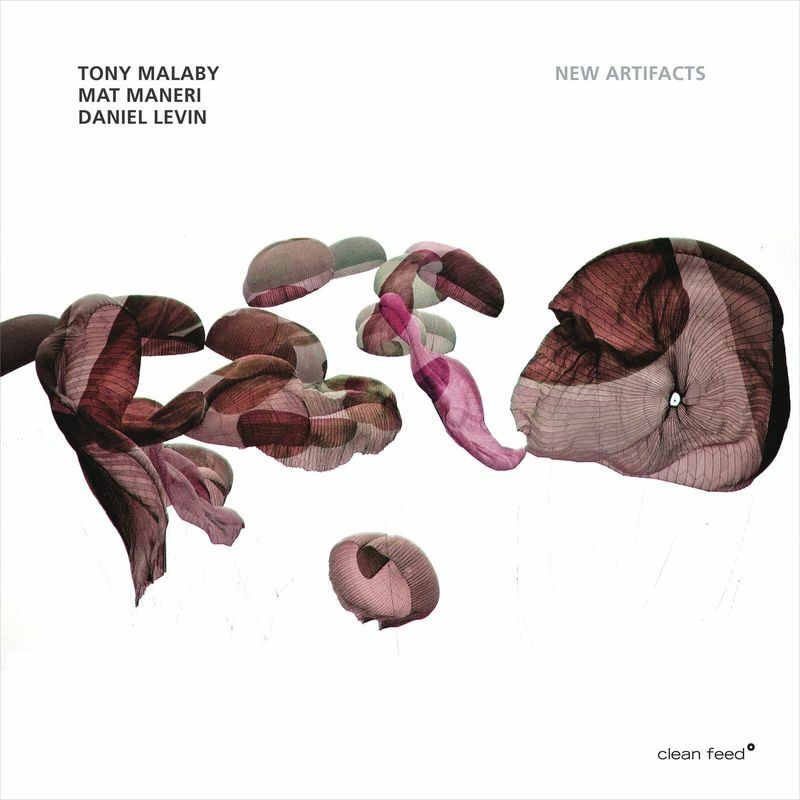 “New Artifacts” documents a thrilling concert in Brooklyn by Tony Malaby, Mat Maneri, and Daniel Levin. The performance captured here transformed the listeners in attendance that evening, bringing them into a creative world open with possibilities. Now, with this recording, Malaby, Maneri, and Levin invite you into their narrative of sound. This is music rich in gesture, and a music that is lyrical at its core. Its lyricism does not set itself in song form, yet is deeply reminiscent of the emotional ethos of vocal forms. This lyricism becomes the ground of the compositional field these three artists enter into: It is a field that is open to asides, proclamations, intimate words, and cries across a great space. The human voice is translated to their instruments with great compulsion. We hear Tony Malaby’s voice on his saxophones as a big circle, or perhaps a vibrant sphere in open space, with wind and light inside it – and this shared space is mirrored by the strings. At times, it’s as if Daniel Levin’s cello and Mat Maneri’s viola become saxophones, too, and vice versa. We are lucky to have a document of this special concert, to provide an opportunity for those of us who were not there that night to experience the magic of this music for themselves. Hideo Yamaki - Japan’s most renown, respected and in demand drummer. Veteran of countless recording and live projects with Japan’s most celebrated pop / rock artists. As well as many collaborations with Japanese icons such as Ryuichi Sakamoto, Toshinori Kondo, DJ Krush, Akira Sakata and many others. 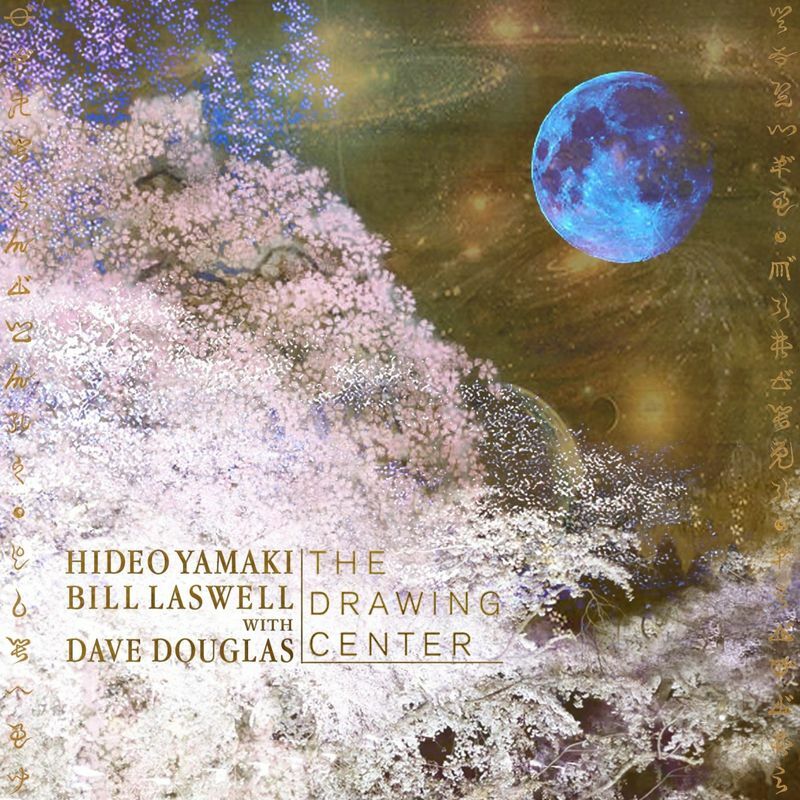 Bill Laswell - Legendary, Ikonoklast, bassist / producer, has worked with Hideo Yamaki since the eighties in many diverse and unimaginable configurations. They have been able to establish a bass and drum dialog that explodes with fluid, spontaneous blasts of telepathy, an ever expanding, dynamic matrix. Dave Douglas - one of the leading trumpeters of his generation, was recognized as “Trumpet player of the year” by the Down Beat critics poll for the first time in 2000 and continued that billing 13 times in the 15 years since. 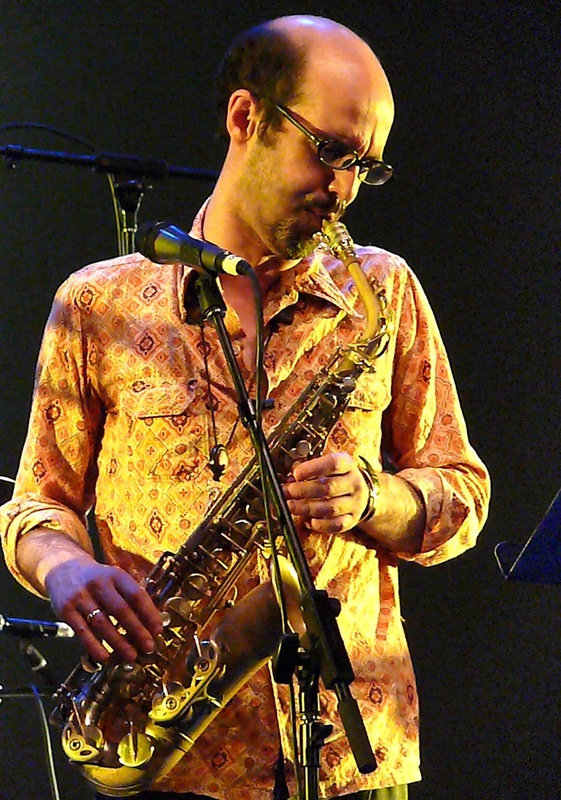 Has worked with John Zorn’s Masada, Horace Silver, Anthony Braxton, Joe Lovano and many others. A transcendent style and sweeping vision.